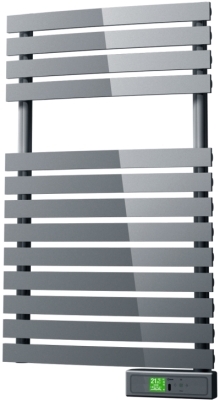 The Rointe D Series is a high-quality towel radiator providing warmth for both the room and multiple towels. 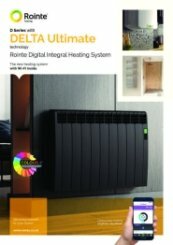 The modern design blends effortlessly into residential and commercial bathrooms, offering reliable and effective warmth. 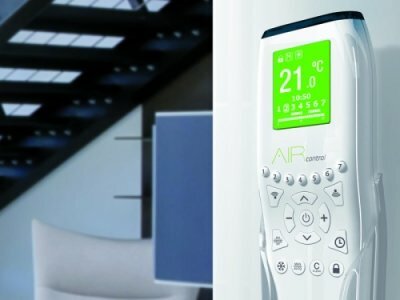 A TFT screen display can be coloured to suit your room, providing easy access to the heater’s functions, modes and brightness. The design of the Rointe D Series is easy to setup and start. We supply installation templates to ensure correct positioning of the model and a safe assembly. 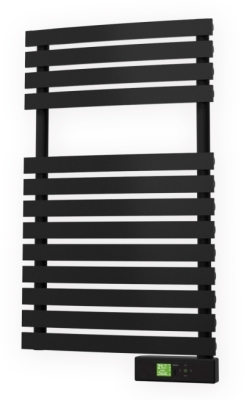 The wall-mounted towel rail is moisture-proof and splash-proof with a high IP rating. Rointe includes recent technological innovations for added efficiency and ease of use. 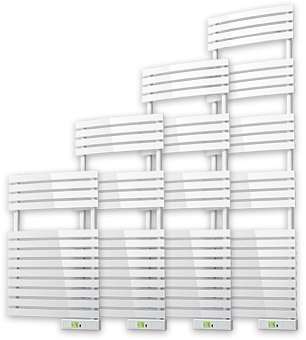 Open window detection inbuilt within the towel rail uses multiple monitors to regulate room temperature, they are able to sense when the room temperature fluctuates and will pause heat production. 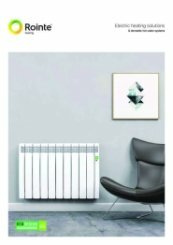 The heater will then reassess the most efficient way of balancing the room temperature, this helps reduce energy wastage. The consumption indicator informs how much excessive energy has been used. 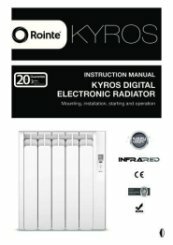 The Effective Power function shows the nominal and effective power comparison of the radiator over the working and total time. 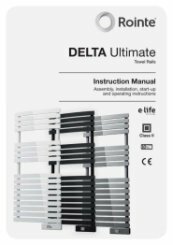 The D Series’ transparency and self-regulatory properties reflect an efficient high quality product. 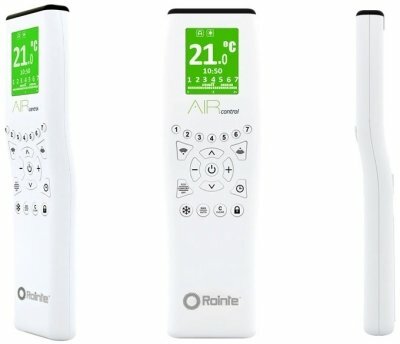 The Rointe offers a variety of functions including multiple 24/7 timers and remote controllers. 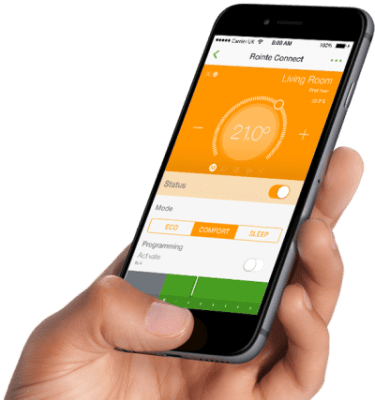 Control the heater from your hand with the WIFI function – the unit can connect to your in-house router, utilise the broadband and link to the free app on your smart phone or tablet. 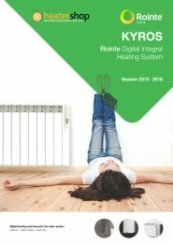 Home automation E-life technology allows managing the heater via the Internet simple and easy and with individual control for each radiator. The app will provide detailed control from Rointe connect using statistic parameters such as consumption, cost, control. In order to pair your Rointe product with your local WIFI signal, please follow the instructions in the attached set-up guide. Four customisable settings are available, tailorable to your lifestyle pattern, no matter your schedule. The infrared remote controller has a lock function, stopping children or students from messing with the settings. 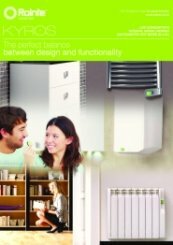 The many functions of the Rointe D Series are designed to improve efficiency, performance, reliability and control. 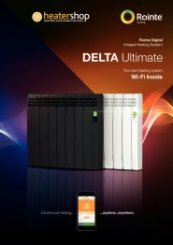 The D Series is Lot 20 compliant, economical and affordable, and its energy saving capabilities help keep down costings. 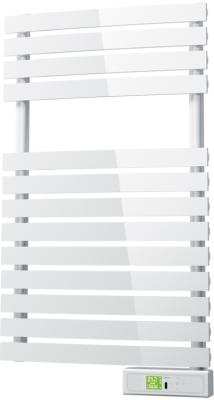 This radiator is quality guaranteed, an optimal option for any bathroom setting with multiple ECO and Boost modes available. Thought i would be able to set up all menus with this but facilitjes disappounting. Great to hear, thank you for the 5 star review. Fantastic, thank you for the 5 star review. An excellent company to deal with, staff very curtious informative and knowledgeable. Item dispatched and delivered extremely quickly. Thank you very much for your comments of our knowledgable and polite staff giving great service.